In Mourning, Eduardo Halfon's eponymous narrator travels to Poland, Italy, the U.S., and the Guatemalan countryside in search of secrets he can barely name. He follows memory's strands back to his maternal roots in Jewish Poland and to the contradictory, forbidden stories of his father's Lebanese-Jewish immigrant family, specifically surrounding the long-ago childhood death by drowning of his uncle Salom n. But what, or who, really killed Salom n? As he goes deeper, he realizes that the truth lies buried in his own past, in the brutal Guatemala of the 1970s and his subsequent exile to the American South. 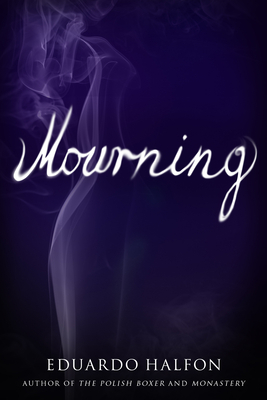 Mourning is a subtle and stirring reflection on the formative and destructive power of family mythology, silence, and loss. Eduardo Halfon moved from Guatemala to the United States at the age of ten and attended school in South Florida and North Carolina. The recipient of a Guggenheim Fellowship, Roger Caillois Prize, Jos Mar a de Pereda Prize for the Short Novel, and Guatemalan National Prize in Literature, he is the author of two previous novels published in English: The Polish Boxer, a New York Times Editors' Choice selection and finalist for the International Latino Book Award, and Monastery, longlisted for the Best Translated Book Award.